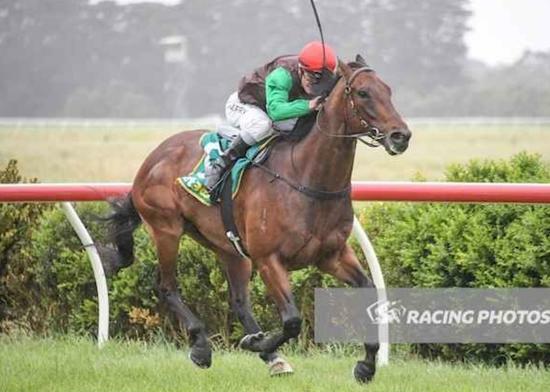 Four year old Poet's Voice gelding Talkémaround has gone on after his last start second to claim a win in the 1400m maiden plate at Terang. Starting as the race favourite jockey Jarrod Fry ushered the horse forward to settle just outside the leader. Although left in front early he had a winning break and held off the late closers by a length. He has now had 8 starts for 1:2:3: and almost $40,000 in prizemoney. While he has taken longer than expected to get a win on the board he has always shown good ability and Matthew now intends on stepping him out in distance. Congratulations to all of the connections, some of whom are involved in other horses from the same dam in Devon Dancer. The stable has had great success racing this family and we hope Talkémaround can now go on to win better races like his siblings Lady Selkirk and Turnitaround.